I've got a sweet treat up for you up on Mamiverse. Actually, it went up a couple of weeks ago and somehow I missed it! 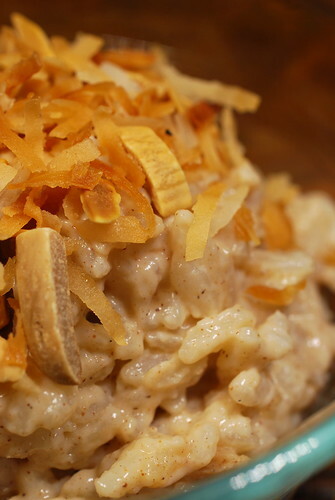 It's a twist on the classic arroz con leche and it is absolutely luscious. As always, here are few extra pictures to help you on the way.